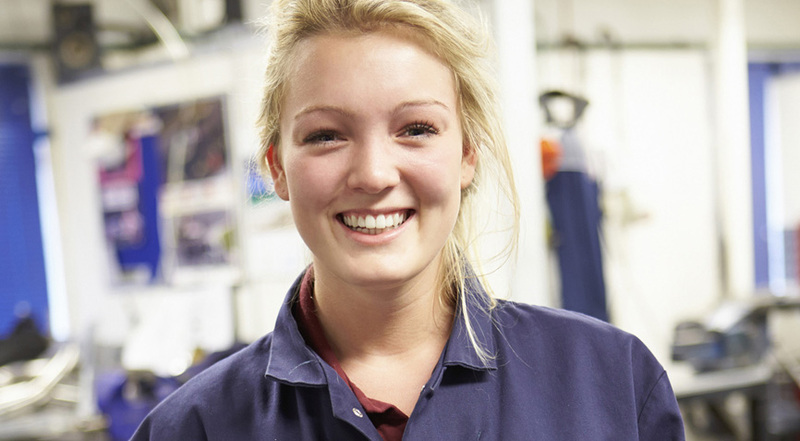 The United Kingdom has Europe's lowest proportion of women in engineering. Prospect, with other organisations, is sponsoring WE50, the Top 50 Women in Engineering campaign. Coordinated by the Daily Telegraph, the campaign aims to inspire a new generation of women engineers. The top 50 women in engineering will be revealed on National Women in Engineering Day (NWED) 2016.
Who are the most influential women in engineering on Twitter? To tie in with National Women in Engineering Day and the WE50 announcement, we've looked at the top 50 women in engineering on Twitter. Twitter is a powerful proxy for social influence. We've considered women who are active on Twitter and who are working in - and promoting - engineering in the UK. How can we measure influence? As with our Top 60 UK #WomenInSTEM influencers, we've measured Twitter influence using an established online analytics tool, Followerwonk. We ranked Twitter users using a Social Authority score from 1 to 100, based on the proportion of retweets from a user's few hundred most recent tweets. Claiming the top spot with the highest social authority, most followers and most tweets is Dr Sue Black, OBE, author, tech tweeter, and founder of BCSWomen. In second place is Oona Räisänen. Programmer, signals hacker, blogger, and one of only 3 women in our Top 50 with over 10,000 followers on Twitter. At #3 is STEM advocate Vinita Marwaha Madill, Space Station Operations Engineer and founder of Rocket Women, encouraging women in space and technology. Our fourth most influential woman in engineering on Twitter is Kate Bellingham, BBC TV presenter, President of Young Engineers, and patron of WISE. Completing the top half of our top ten is Leonie Watson, blogger, writer, accessibility engineer, and accessibility consultant for the UK Government. In joint sixth place is Dr Heather Williams, Director at Science Grrl, STEM Ambassador, and Senior Medical Physicist at Manchester Royal Infirmary. Also in joint sixth is our second most prolific tweeter, Dr Lucy Rogers. Writer, blogger, maker, engineering consultant, and space and science tweeter. Rachel Berry is eighth. Blogger, software engineer, and CAD, cloud and virtualization expert. In ninth place, Chartered Structural Engineer and PhD Researcher Fiona Gleed has the second most tweets in our table. Completing our Top 10 is Jaz Rabadia, MBE, STEM Ambassador and Energy Institute Board Member. Here's our full Careersmart league table of women in engineering Twitter influencers. Are there other women engineers who should have made our Twitter top 50? Let us know!